Has your child ever taken apart your garage door opener to see how it works (whether or not he could put it back together again)? Or maybe she single-handedly figured out how to connect your laptop to your television so you could show your extended family your vacation photos? Don’t look now, but you could have a budding electrical engineer in your midst. Electrical engineering (EE) covers a variety of fields with a ton of potential skills involved. EE can involve the study of electronics or electromagnetism; it can focus on computers and telecommunications; it can even dive into fields like aerospace and marine engineering. The career opportunities open to your child are almost limitless. Think of your child’s school experience. Imagine if their digital notebook could connect wirelessly to the smart board in their classroom and automatically copy the teacher’s notes as the teacher is writing them. Or maybe they could answer a question on their screen and send it instantly to the board. Or maybe, outside the classroom, the mobile game on their cell phone could connect with the world around them, turning their physical world into a giant, interactive video game like this one. All these things are possible with The Internet of Things and electrical engineering. And what links EE and IoT together? Programming. Think of programming as the language that digital notebook is using to speak to the smart board; electrical programmers have to know how to make the devices talk to each other quickly, clearly, and accurately. Technology is rapidly working its way into every aspect of our lives; our world is becoming more connected by the moment. And, if the predictions are true, this inter-connectivity could generate up to $11.1 trillion a year in economic value by 2025; that number includes everything from employment wages to new products. That’s a lot of opportunity! Want to get your child excited about the possibilities of electrical engineering, but not sure quite how? We’re here to help. Organized below by specialty, iD Tech has multiple course offerings for different ages, and we’re sure there’s one geared toward your young engineer’s interests. Check them out! Intro to the Arduino Platform with Sparkfun Digital Sandbox — iD Tech Camps. A one-week course where students use ArduBlock to program LED sequences, light and temperature sensors, and more. It’s an engaging mixture of programming and hands-on engineering, so your child can see right away the practical uses for such skills. An example of what they can make: A temperature sensor for their laptop that will tell the fan to turn on when their computer is too hot. Electric Latte - Coding Electronics with LilyPad Arduino — Alexa Café. 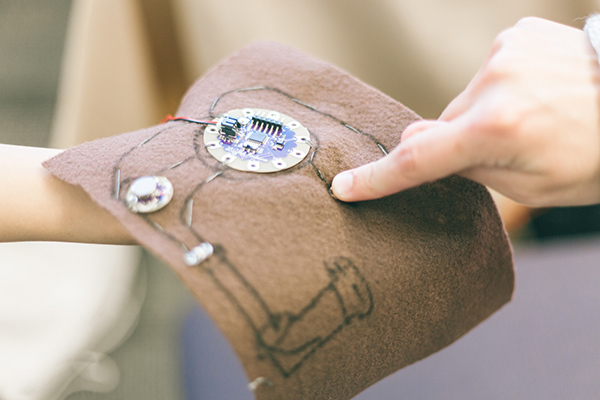 Our girls-only, one-week option, where young women create wearable electronics with unlimited potential. Alexa Café also includes a focus on philanthropy and entrepreneurship. An example of what they can make: A nightlight shirt that senses when it’s getting dark outside and automatically turns on, giving anyone from joggers to their canine running buddies an extra layer of safety. 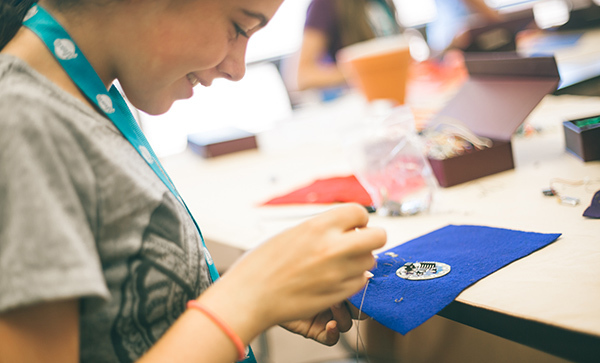 Engineering & Programming with the Arduino Platform — iD Tech Camps, ages 13–17. 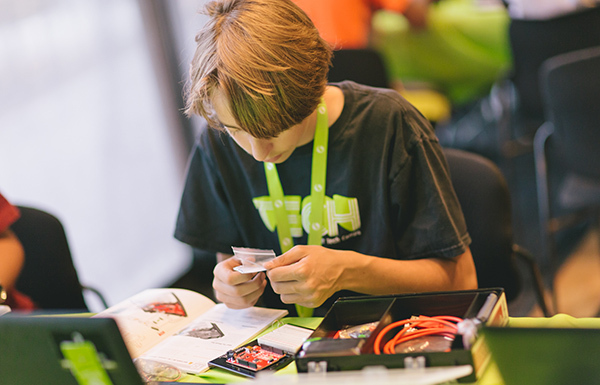 A one-week course where campers explore the Photon, a Wi-Fi/microcontroller development board, to design and build their own circuits and then control them with their iPhones or Androids. The Internet of Things at their fingertips! Cafe Electric - Electrical Engineering with Arduino — Alexa Café, ages 13–15. In another girls-only, one-week option for teens, students in this course utilize the same Photon kit to delve into the Internet of Things, with an added focus on how to improve their lives and the world around them. An example of what they can make: A "thinking of you" button that sends a nice message to a friend any time the button is pressed. 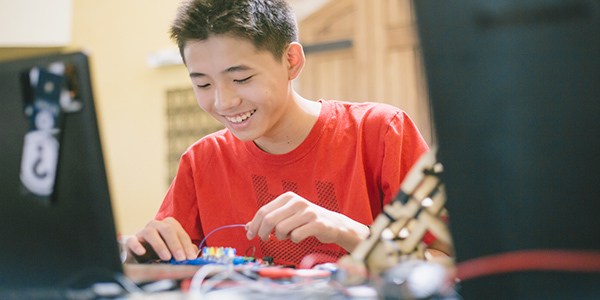 Intro to Electrical Engineering with the Arduino Platform — iD Programming Academy, ages 13–18. Got an older student looking for a bigger challenge this summer? Our co-ed Programming Academy is a two-week, intensive program where students get to dive deep into electrical engineering with the Particle Photon, exploring motion sensors, accelerometers, magnetic door switches, and more. An example of what they can make: An infrared sensor that detects movement. They can use it to alert their phone when someone’s moving around in their room! Best of all, your child will take home their hardware allowing them to program, prototype, and engineer even after camp! All products are provided by SparkFun, who creates and distributes circuit boards, sensors, and hardware for professionals, educators, and students alike. What are you waiting for? Click any of the links above for more detailed information on the courses, and to find locations near you. Still not sure if electrical engineering will capture the imagination of your child? Learn more about the benefits of engineering camps or over to our lineup of sixty course offerings your child can explore this summer. Better hurry, seats sell out fast!